A former Editors' Choice winner, this model boasts design brilliance with reliable performance and accuracy. Pros: Accurate power measurement, stable, versatile, dual communication protocols, application compatibility. Cons: Heavy, expensive, must have electrical power for use. The CycleOps Hammer Direct Drive is one of the best trainers in our lot. It consistently scored among the highest in our comparative testing and offers the very realistic road-like feel. For the rider or racer who is serious about training, the Hammer Direct provides the durability required for daily use. With a maximum resistance of 2000 watts and the ability to simulate grades of up to 20 percent, the Hammer has the ability to challenge the elite level rider. The direct drive design lends itself to use with almost any bike and provides unmatched power accuracy. If you are unwilling to compromise and demand the best, then this trainer should be on your short list. The Hammer Direct Drive is the first direct drive smart trainer from CycleOps. CycleOps was a bit late to the party with competitors such as Wahoo releasing direct drive units first, but the Hammer was worth the wait. CycleOps is no stranger to the market and has long been producing high-quality indoor trainers of almost every resistance type. They also have a long history of producing power meter hubs under the PowerTap name, so a highly accurate direct drive trainer is no stretch for the brand. The Hammer Direct Drive has an ideal set of qualities that landed it at or near the top of every category we rated in this review. It checks all the boxes with dual communication protocols, an accurate direct drive design, and a solid native application that our testers loved. The excellent road feel and smooth resistance transitions with applications such as Zwift and Trainer Road set it apart from the competition. The Hammer Direct Drive is a phenomenal bike trainer that just barely missed out on our top award. CycleOps like most manufacturers have chosen to use both ANT+ FE-C and Bluetooth communication protocols on the Hammer Direct Drive. Dual protocols give users the greatest number of connection options making it easy to connect with almost any device. The CycleOps CVT mobile application was easy to install and pairing the trainer was a painless task. We did find the CVT application to be a bit less user-friendly than the Wahoo Fitness application we used with the Tacx Neo Smart, Kickr, and Kickr Snap and for this reason, we rated the Neo and Kickr a 9 out of 10 and the Hammer an 8. It should be noted though that the CVT application is much more feature rich than the Wahoo Fitness Application. CVT has a range of pre-configured workouts, as well as the capability of creating lifelike virtual riding experiences that tackle famous sections of road and climbs from around the world such as the Alpe d'Huez. Comparatively, the Wahoo application is very basic and is limited to user controlled resistance or ERG mode which forces you to ride at a set wattage. The one downside of the CVT application is that it is not compatible with Mac desktop computers. It is, however, compatible with IOS devices, Android devices, and Windows-based PC computers. The Tacx software, meanwhile, works with both IOS and Android tablets as well as Mac and PC desktops. It features a pretty serviceable array of ERG and SIM training options, not quite enough for a 10, but enough to top out the list. When training on the Hammer Direct Drive their is no questioning the numbers on the screen, the power accuracy was near perfect, and tracked within one percent of our Quarq control unit. The Hammer Direct exceeded our expectations for power accuracy, consistently tracking within 1 percent of our crank based Quarq power meter. The Kickr was equally accurate, during steady efforts, but we found that it lagged a bit particularly on short hard sprint efforts or when surging at the bottom of a climb in applications like Zwift. The Hammer Direct was particularly impressive in these same situations with instantaneous power increases and appropriate speed increases to match the increased power output. CycleOps recommends calibration every 30 days, and our experience would show that to be an accurate recommendation. We went past 30 days with no noticeable decline in accuracy, but once every 30 days is no big deal compared to the daily calibration requirements of tire drive trainers such as the Kickr Snap. Even greater was the Neo Smart, which also had excellent accuracy, but never has to be calibrated and maintains its accuracy. The Hammer Direct weighs in at 47 lbs, making it nearly the heaviest trainer we tested, with the Neo coming in .3 heavier and the Kinetic Rock and Roll Smart Control coming in .5 lbs heavier. Despite the weight of the unit, we found it relatively easy to move around due to a well-designed integrated handle that sits at the balance point of the trainer. The legs fold up easily, allowing the trainer to be carried as you would carry a suitcase. When folded up the overall width is only 8.5". We found it much easier to pack the Hammer Direct in a vehicle for transport than the more awkwardly shaped tire drive trainers such as the Kickr Snap. Can you use the Hammer Direct for a race warm-up without electrical power? Well, yes. However, you will hit a max resistance of around 150watts. We would like to see the option to use the unit without power and a progressive resistance curve based on speed. The Tacx Vortex and Tacx Neo do this, making them better options if you plan to use your trainer without power for race warmups. No product is perfect. The Hammer Direct is one of the best smart trainers on the market, but it is best suited to duty in the private pain cave training center unless, of course, you travel to races on a tour bus with generators. The Hammer Direct has a fully encased resistance unit for quiet operation and long-term durability. The built-in carrying handle is well balanced and makes carrying the rather heavy trainer a reasonable task. The Hammer scores a rare perfect 10 here with stellar overall design, attention to detail, and some smart accessories that set it apart from the competition. The first thing that you notice when pulling the Hammer Direct out of the box is that it doesn't look like any other trainer. The resistance unit, flywheel, and drive belts are completely enclosed in a tough plastic case. We like this feature and feel that it serves two key purposes. First, it protects the internal components from water and sweat when the trainer is in use. The Kickr has a very different look with all of its components including the flywheel and resistance unit being relatively exposed. The other benefit of the enclosed case is noise reduction. While we have no idea how much louder the trainer would be without the case, it stands to reason that it absorbs some of the noise output. The composite legs on the Hammer Direct Drive fold out of the main body to provide stability when in use and are adjustable to account for uneven floor surfaces. The Hammer is one of the only trainers we tested that comes with a full set of thru axle adaptors that make the trainer compatible with 142mm and 148mm through axle frames right out of the box. The Kickr is also compatible with these axle standards but you will need to purchase the adaptors separately. The inclusion of the axle adaptors is a big plus, as it gives riders on cyclocross bikes and mountain bikes out of the box compatibility. The Hammer Direct does not come with a cassette like the Kickr, which we initially felt was a mistake. However, after using the poor quality Sram cassette that comes with the Kickr, we feel that it is best to let the rider furnish the cassette. Most of us have a few cassettes kicking around the garage that will likely mate better with your drivetrain anyway. Another important compatibility issue of note is that the Hammer Direct comes with a Shimano Cassette body, so if you are using a Campagnolo drivetrain you will have to run an Ultegra cassette. As of the writing of this review, there is no Sram HD Driver cassette compatibility. We are hoping that changes in the future. The Hammer comes with a slim wheel block, designed for stabilizing the front tire, rather than elevating it. The Hammer Direct also comes with a small, thin wheel block that stows neatly under the trainer when the support legs are folded up. We used the trainer without it and found that it does offer a bit more front wheel stability. Another cool feature is the disc brake spacer that is stowed under the wheel block. While it is not a critical feature, it just goes to show how much thought was put into the trainer. Our only real complaint is that the Hammer Direct does not come with a quick release skewer. This is rather weak when you consider the cost of the unit and the fact that every other trainer in the review comes with a quick release skewer. You can use the one that is already on your bike, but we recommend you purchase one to leave on the trainer to simplify setup. The Hammer Direct Drive does not come with a cassette or skewer. CycleOps does include a spacer that allows the 11spd freehub body to be used with 10spd cassette. There is a lot to love about the Hammer Direct Drive and road feel is at the top of that list. The Hammer earns a solid 9/10 here. It simply has the best road feel of any traditional-flywheel trainer we tested. The one that bests it here is the Editors' Choice Neo Smart, which uses 32 magnets to simulate the real thing perfectly. Several factors affect the road feel of a smart trainer. The weight of the flywheel is one factor. During testing, we found that a heavier flywheel created superior road feel than did a lightweight flywheel. When comparing basic fluid trainers side by side, the effect of a heavier flywheel is very noticeable. With smart trainers, there are other factors at play, primarily how the magnetic resistance unit applies braking force to create resistance, and most importantly how the trainer software interprets resistance changes in slope experienced when using applications. We broke our analysis of road feel down into two components: application controlled changes in resistance, and how the trainer responds to increases in rider power output. The stability of the Hammer Direct Drive is awesome, even during hard out-of-the-saddle efforts. When using the Hammer Direct Drive in ERG mode, the transitions from one wattage setting to another during interval workouts are exceptionally smooth. The Kickr also scored well but was more prone to excessively quick ramp-ups in resistance that make it hard to maintain a tolerable cadence. The Hammer Direct quickly increases resistance but does so in a manner that allows the rider time to increase power output by increasing cadence. The Neo was also masterful in its control, allowing a smooth transition up or down, even with big jumps in resistance. The Kicker Snap and the Tacx Vortex suffer from the same sudden resistance increases that mimic the feeling of being in too small of gear on a climb. During SIM mode testing, we also found the Hammer Direct to be superior to the competition, approaching that of the Tacx Neo. It simply feels more like riding outside. The sensation when you transition from a flat road to an incline is familiar, with a gear changes corresponding to what we would expect to feel on a road bike riding outdoors. The Kicker has a much harsher ramp up in resistance on steep grades, with a sensation more akin to riding with the brakes on than what you get with the Hammer Direct and Neo. The Hammer Direct had the longest wind-down time of any trainer we tested at 2:30 compared to just 53 seconds on the Kickr. This long wind down time makes descents and coasting on the flats in SIM mode feel much more realistic. It is basically what you would expect to feel on the road in similar conditions. The exceptional Tacx Neo Smart, using its virtual flywheel, can wholly simulate a descent when it's plugged in. The Hammer's road feel is only bested by the Editors' Choice-winning Tacx Neo Smart. The Hammer Direct, Neo, and Kickr all respond well to rider power output change when riding in SIM mode. The Hammer narrowly edges out the Kicker due to its superior handling of sudden hard efforts, such as an acceleration on a climb, while the Neo slightly edges the Hammer out. The Kickr has a tendency to miss the first few seconds of increased effort and will read a much lower wattage than actual output. The Hammer Direct and Neo Smart seem to deal with this better and match wattage readings well as compared to a Quarq crank based power meter. This may have more to do with software than the physical components of the unit, but it is worth noting the discrepancy. The Hammer Direct scores a 6/10, as one of the easier smart trainers to setup, primarily due to its ease of use compared to tire drive trainers following initial setup. We break setup into two categories: initial and ongoing. Initial setup on the Hammer is slightly more involved than the Kickr. The Hammer does not come with a cassette installed so you will need a cassette that works with the drivetrain on your bike as well as a chain whip and a cassette lockring tool. The Kickr comes with a Sram 11spd Cassette installed so the cassette installation procedure is not required, assuming your drive train will work with the included component. Following cassette installation, all you need to do is thread a quick release skewer through the hub. Placing your bike on the Hammer direct is the same procedure as putting a rear wheel on a bike. We found that with some bikes a few turns of the barrel adjuster were necessary to get the shifting dialed, and we experienced the same with the Kickr. Prior to riding for the first time, you will need to use the CVT mobile application to calibrate the trainer, and CycleOps recommends a monthly calibration thereafter. You will need a chain whip and a cassette lock ring tool to install or remove a cassette from the Hammer Direct Drive. A QR skewer is also required, but the one that you already have on your bike will work just fine. Following initial setup, all that is required is getting on your bike and riding. If you remove your bike from the trainer following each session, you will have to repeat the bike mounting procedure and fold the legs of the trainer out. Folding and unfolding the legs is a simple task on a hard surface, if you are doing it on the carpet you will need to unweight the leg you are trying to open, or it will catch on the rubber foot pad. Once you plug in the trainer and open the CVT application, you are ready to ride. The lower scoring Kicker Snap and the Tacx Vortex require more daily setup due to the tire drive design. Even if you leave your bike on those trainers, it is still necessary to reset tire pressure and drum contact before every ride. The tire drive trainers also require calibration prior to every ride. Hammer Direct Drive only need calibration on a monthly basis, and it can be done with the CVT mobile application. The Hammer Direct Drive smart trainer is one of the most versatile trainers we tested. It comes adaptors to accommodate almost any rear wheel spacing or axel standard allowing it to be used with a wider range of bikes right out of the box than any other trainer tested. The direct drive design is a far better system if you plan to use a mountain bike or cross bike on the trainer than a comparable tire drive trainer. We feel that the Hammer Direct is one of the best training tools available and is well suited to any rider looking to enhance their indoor training experience. The price is high, but if ease of use and power accuracy are important to you, then this is the no-compromise option. Despite the high price, we feel this premium piece of equipment represents a solid value. The Hammer Direct Drive trainer attaches directly to the bike and removes the rear tire from the system, providing very accurate power measurement and precise control. The Hammer Direct Drive scores highly in every category we used to rank the trainers. If you are looking for the ultimate indoor training experience, then there aren't many to choose from, but this is one of them. Class-leading design, road feel, and an excellent, fully loaded native application make for a combo that is hard to beat. Direct drive trainers come at a premium cost, but offer the most versatility and most accurate power measurement. If you plan to spend a lot of time on the trainer, then this trainer is well worth the investment. 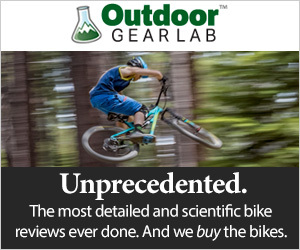 REI $999.93 - 17% off!